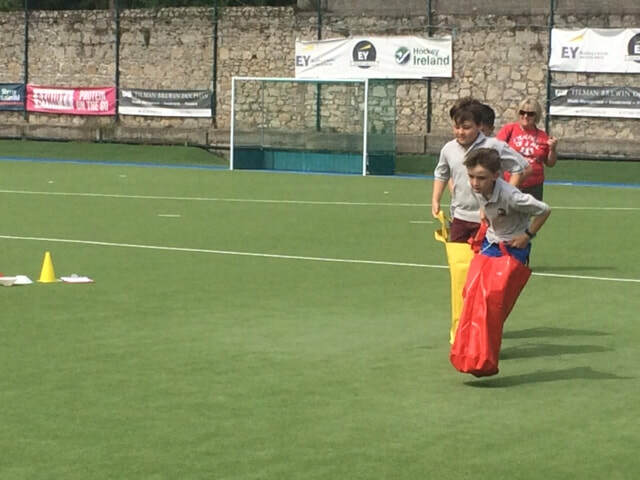 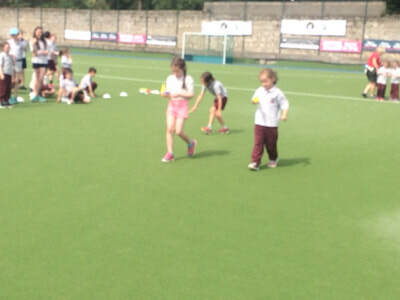 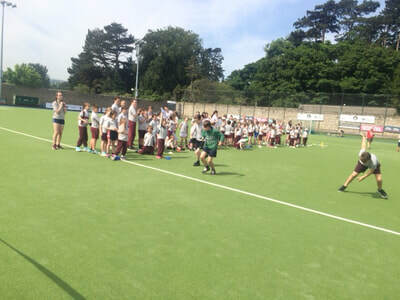 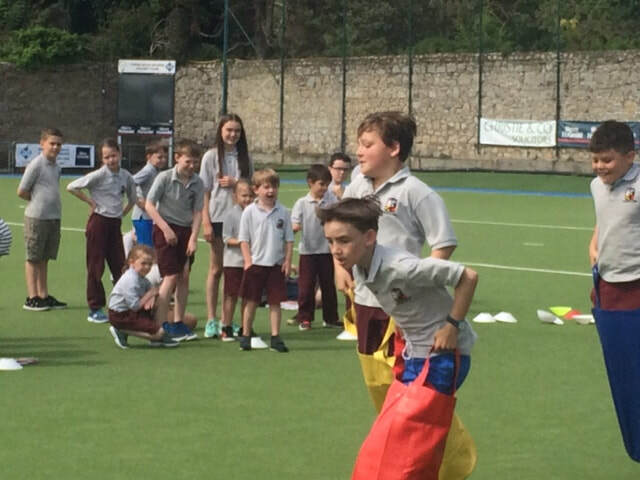 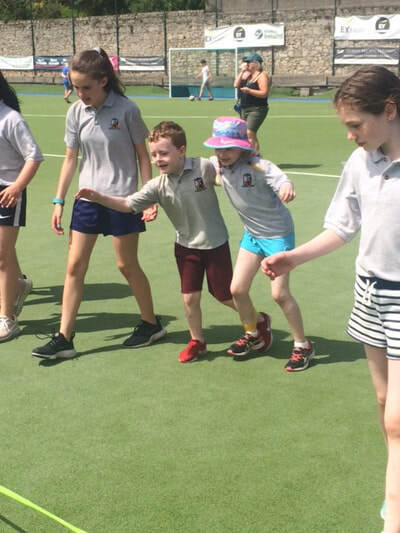 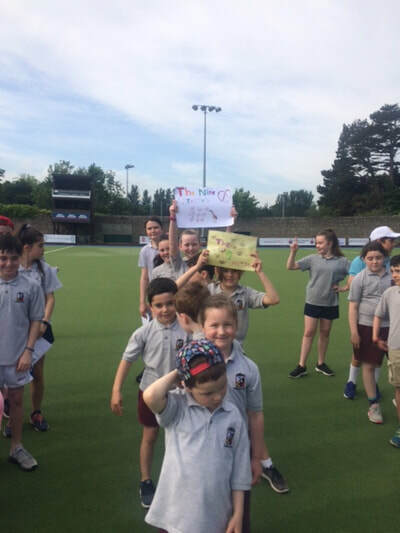 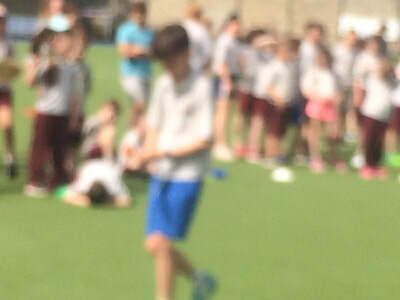 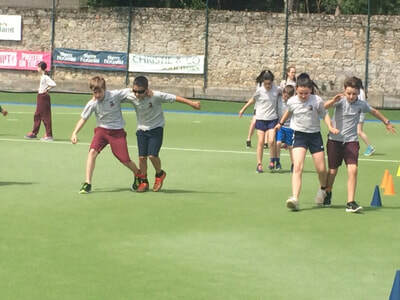 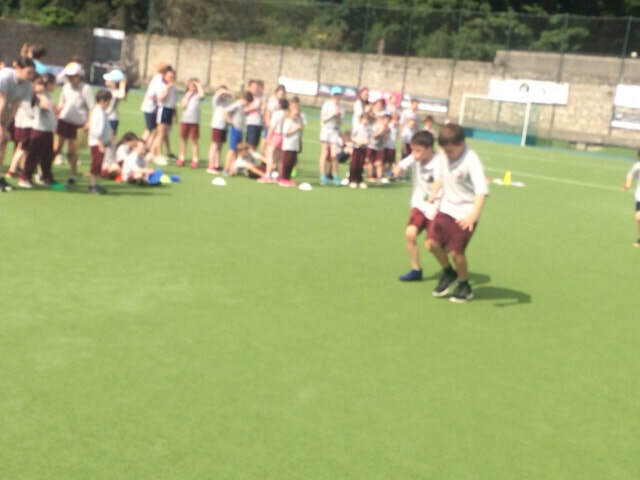 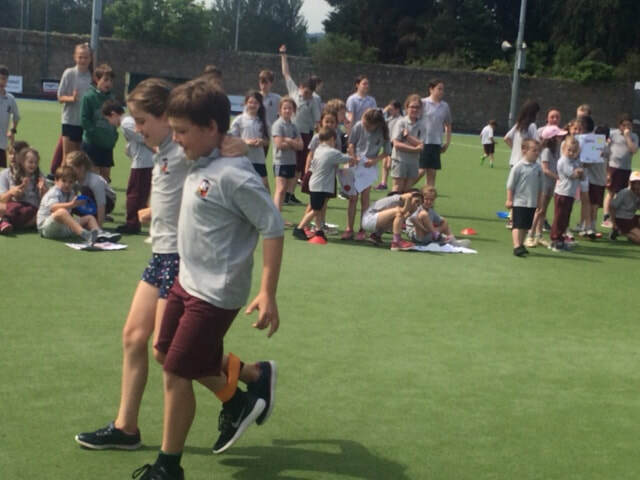 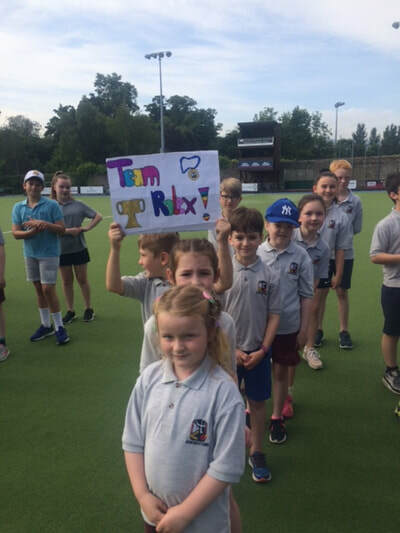 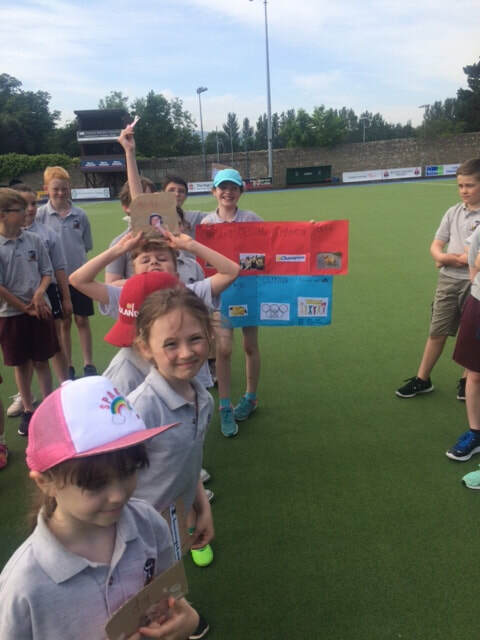 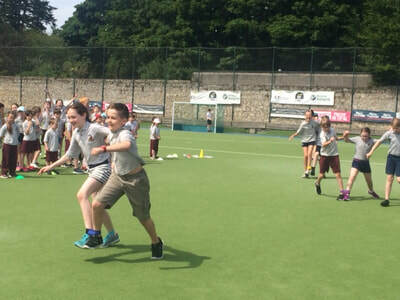 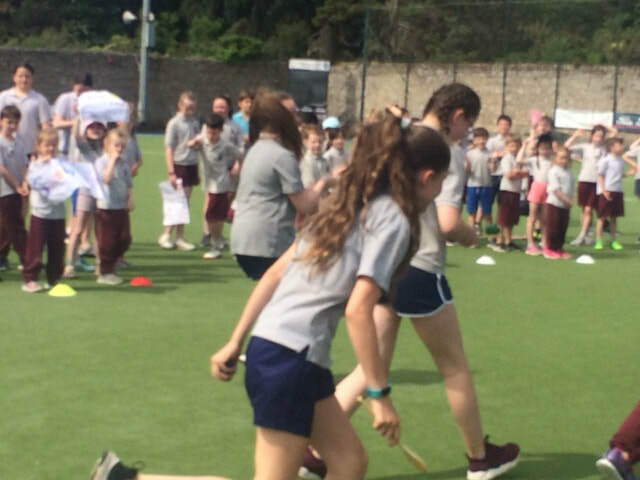 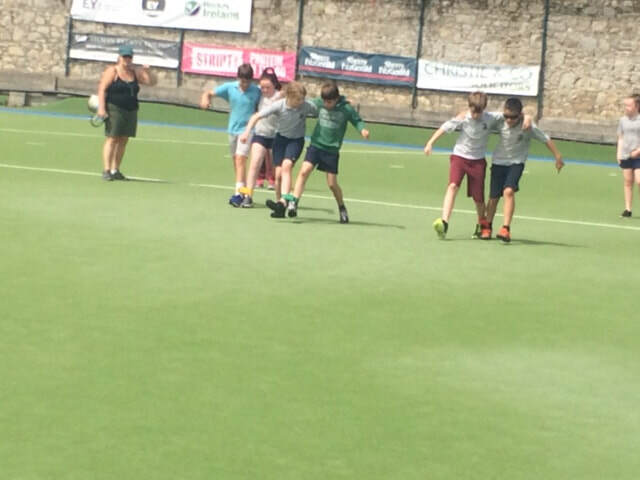 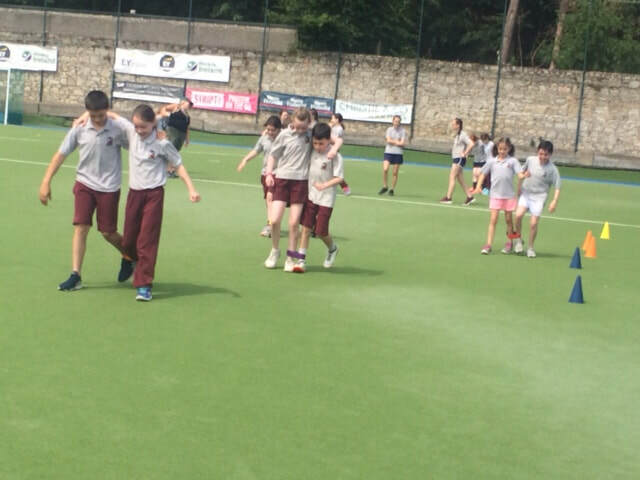 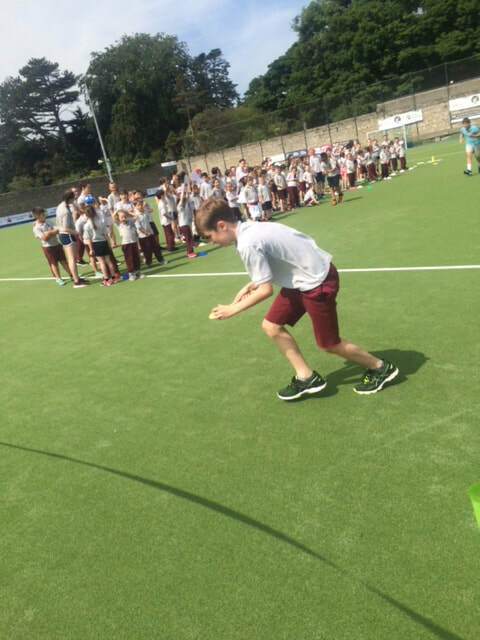 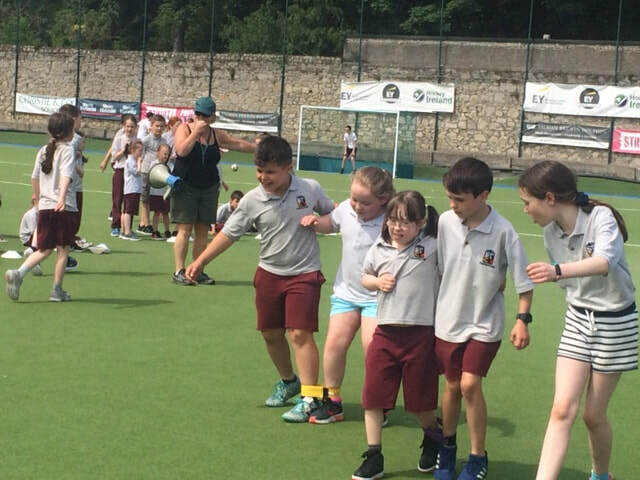 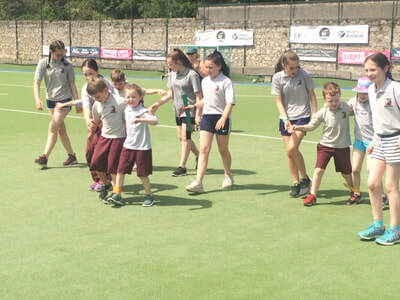 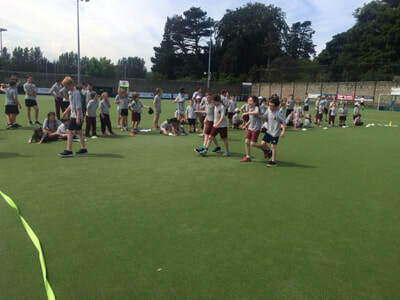 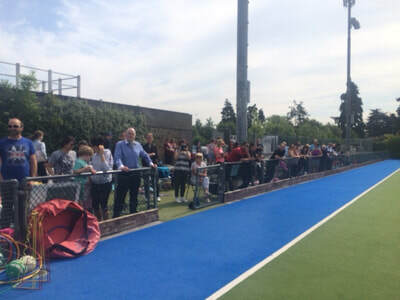 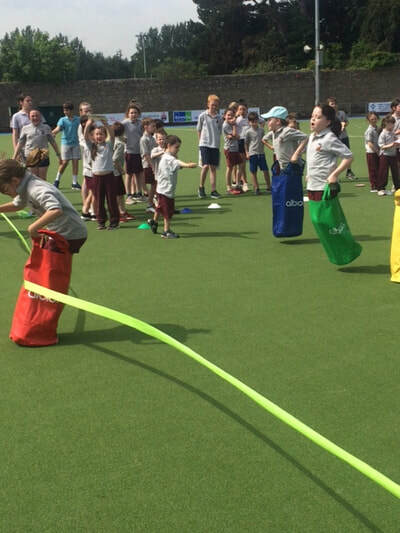 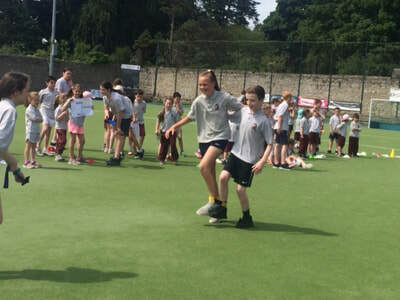 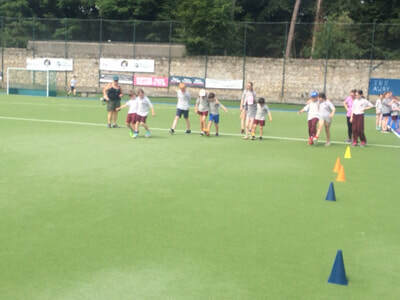 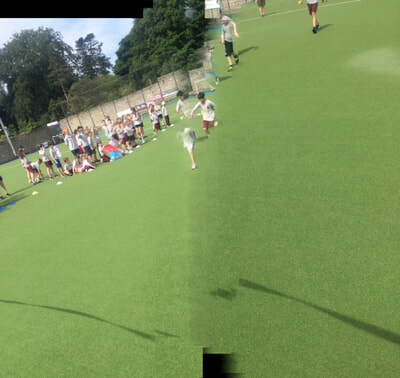 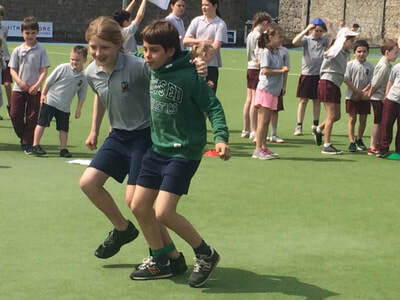 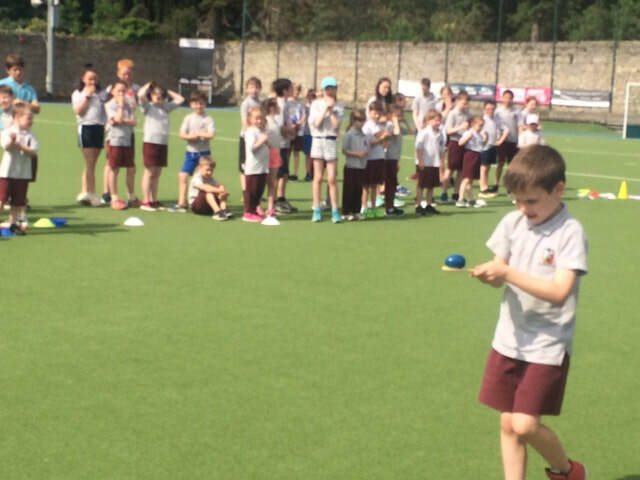 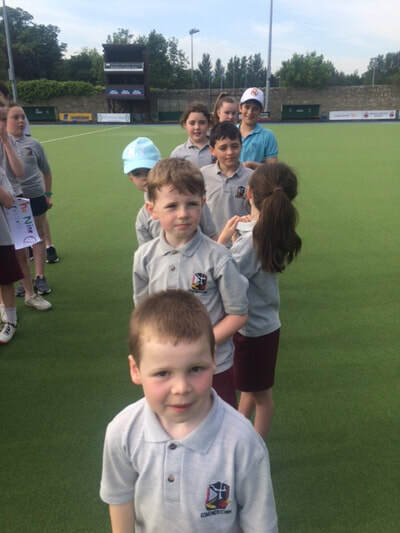 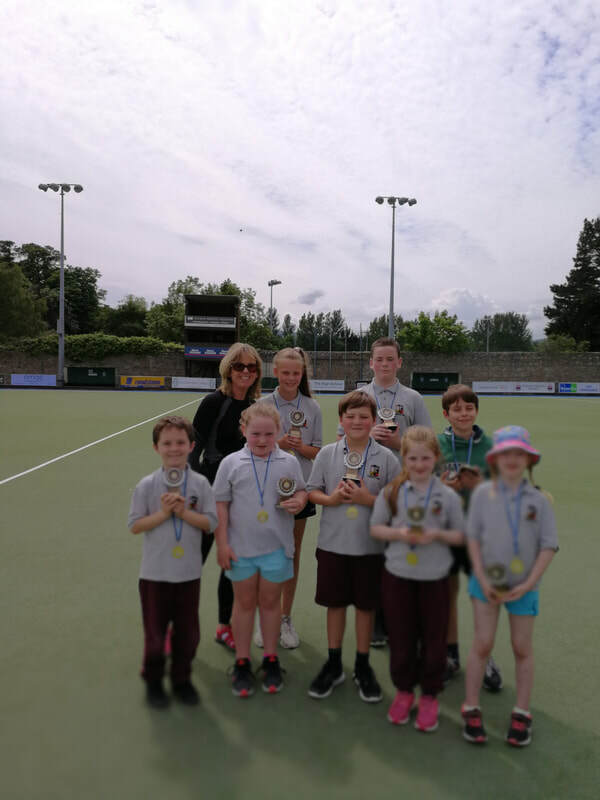 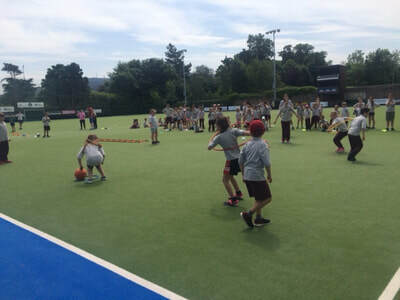 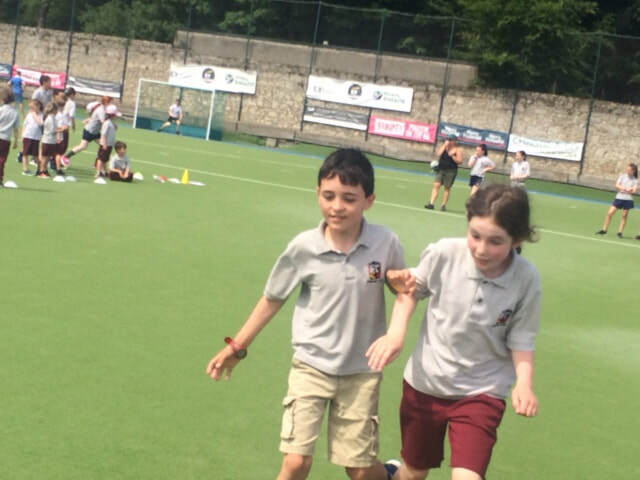 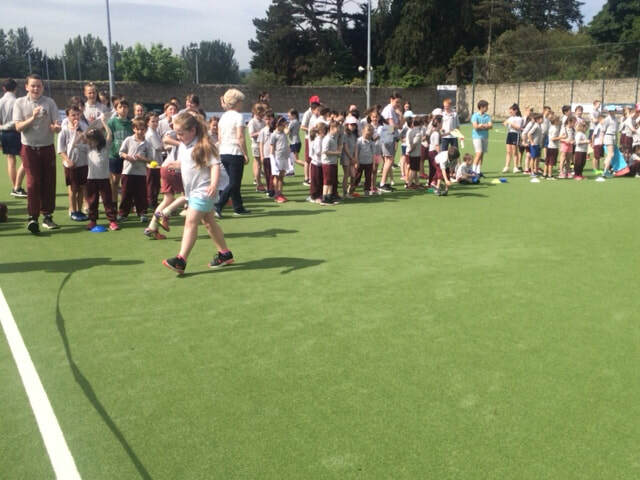 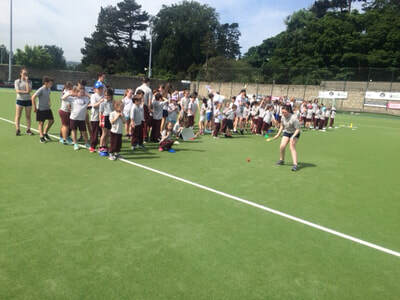 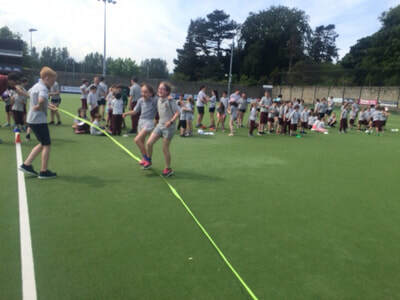 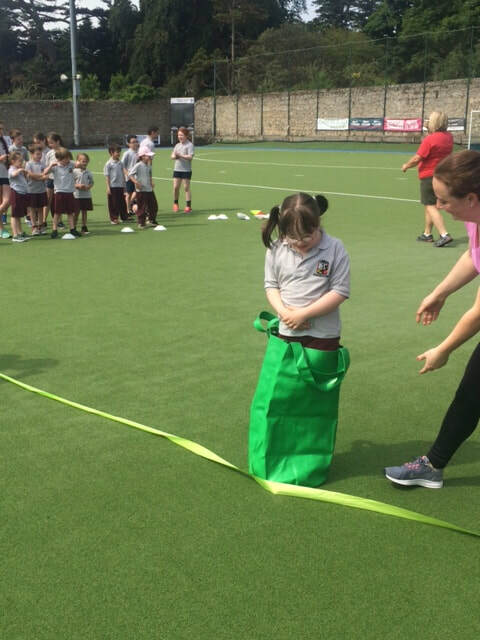 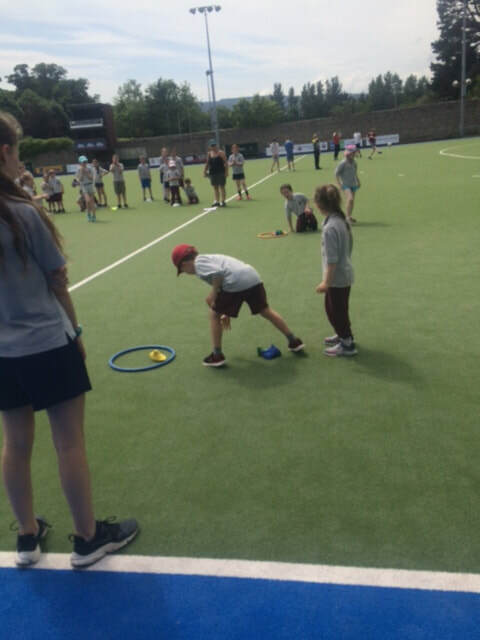 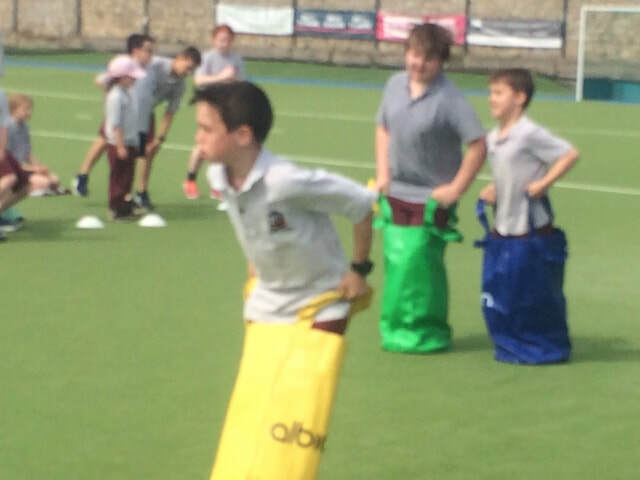 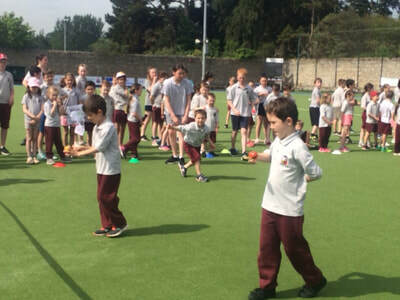 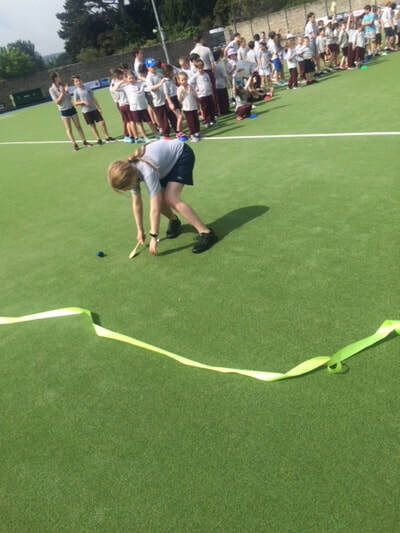 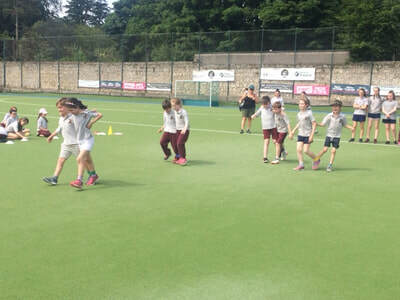 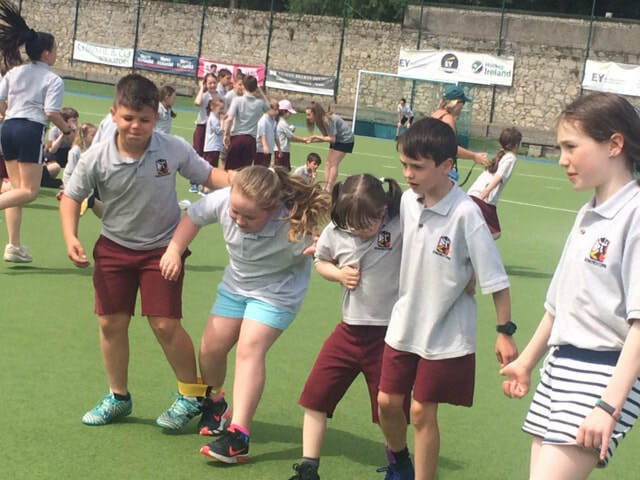 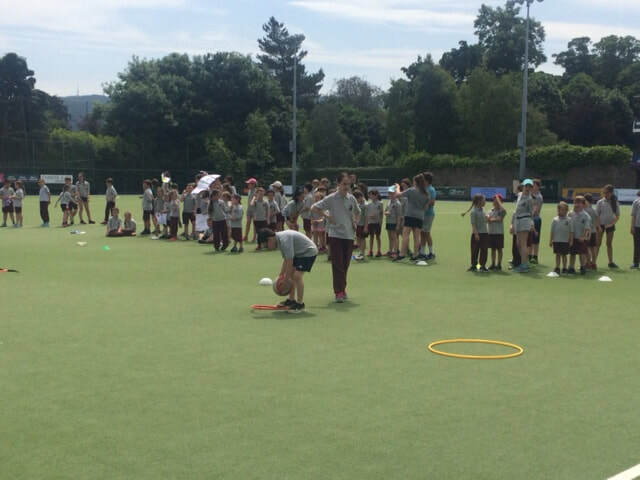 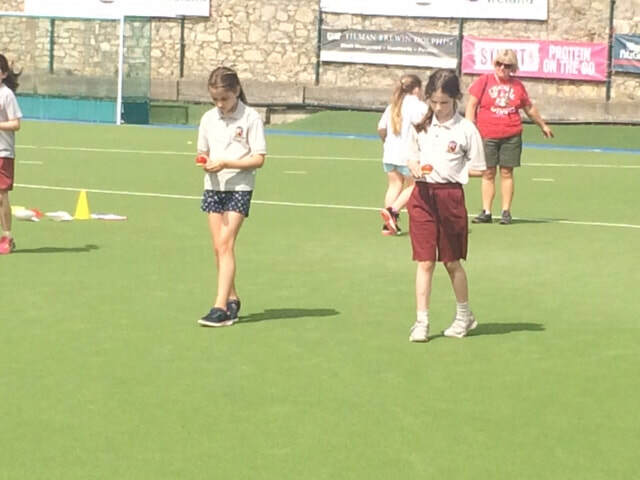 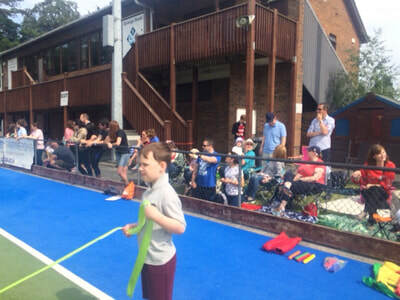 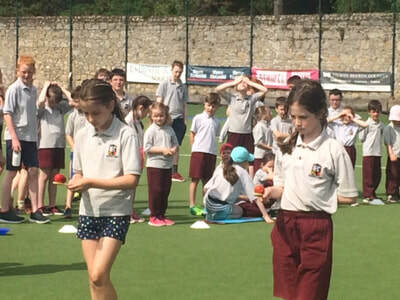 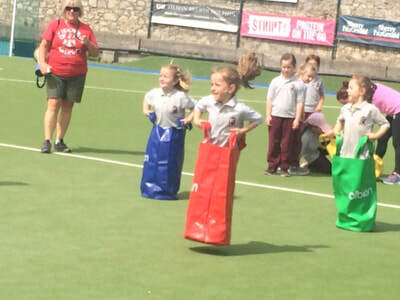 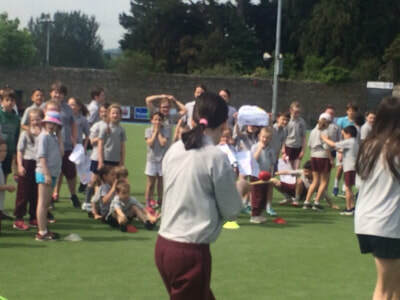 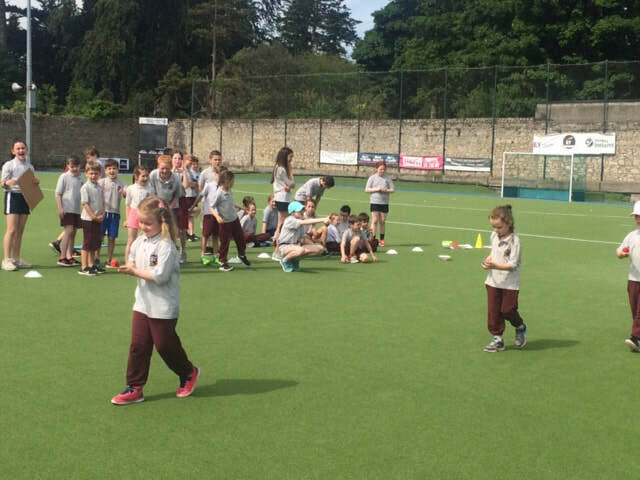 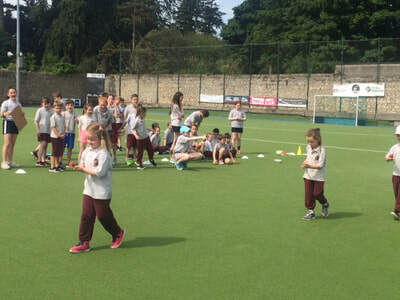 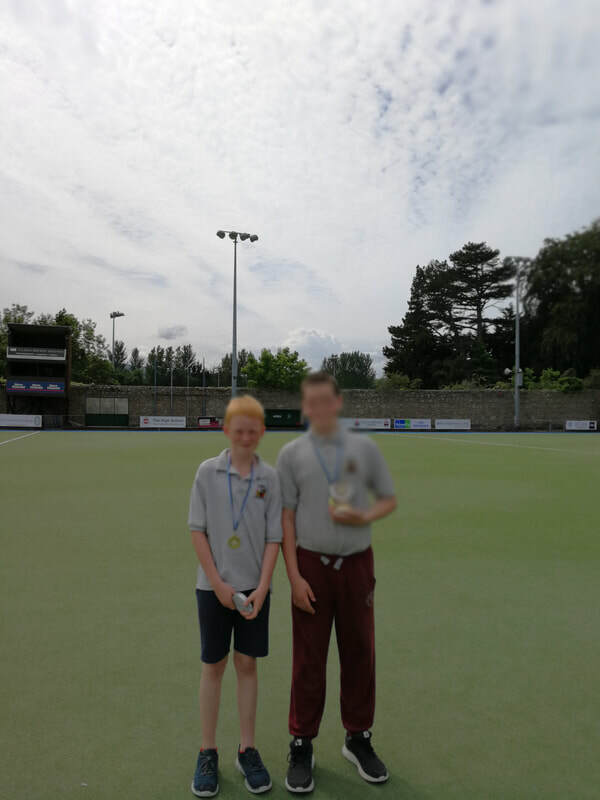 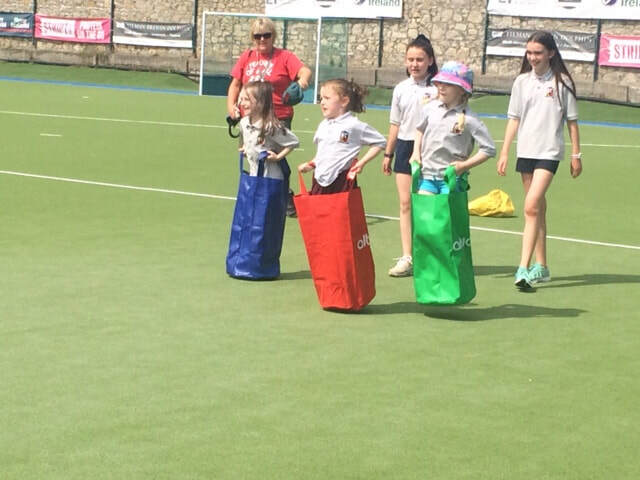 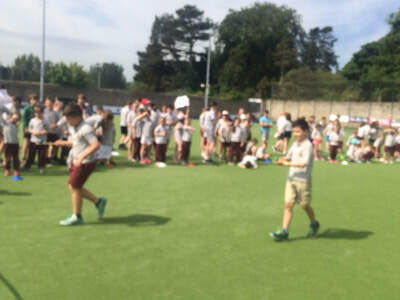 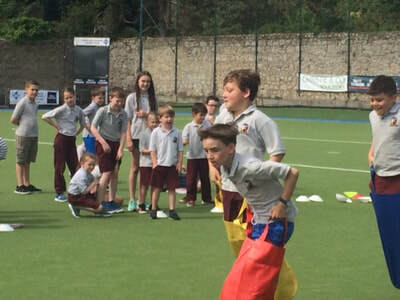 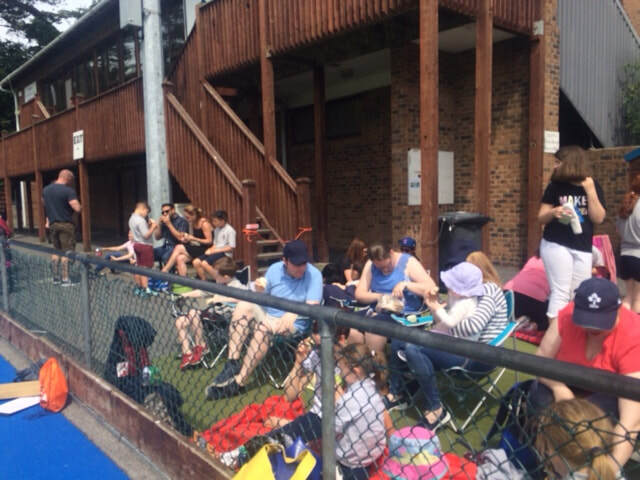 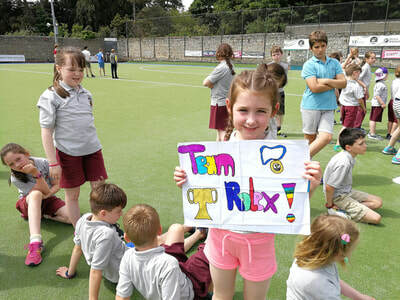 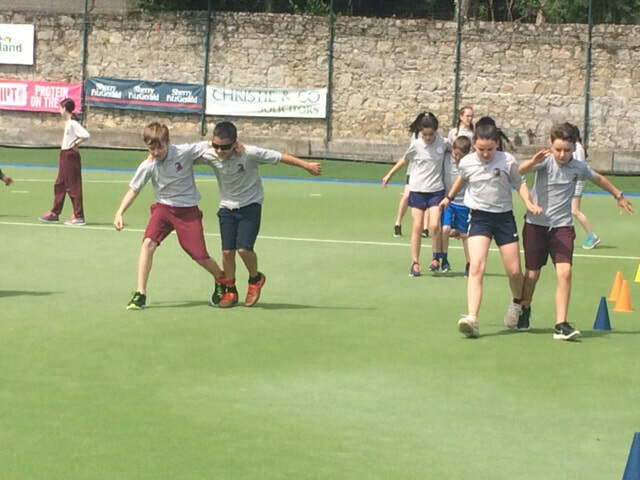 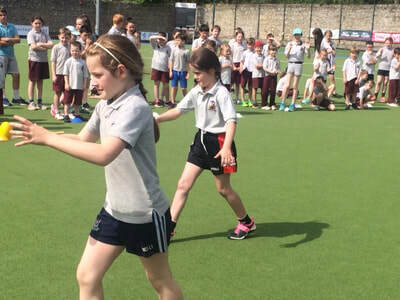 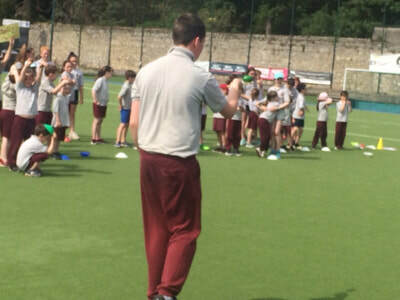 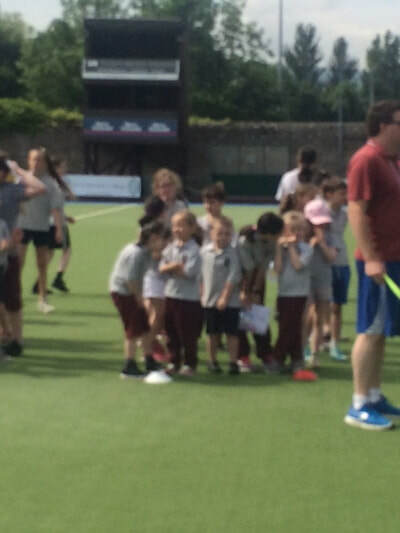 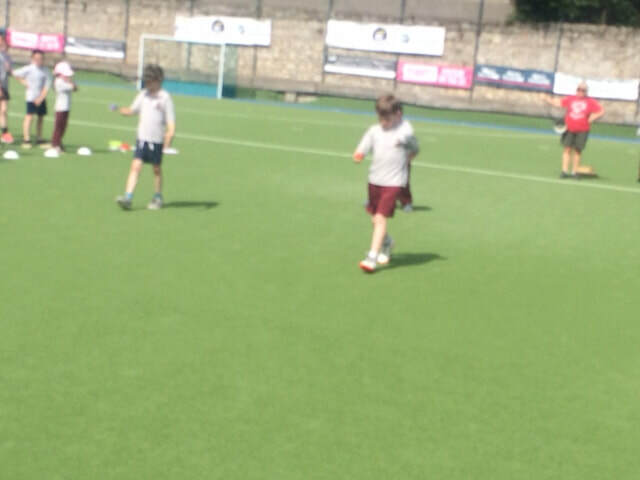 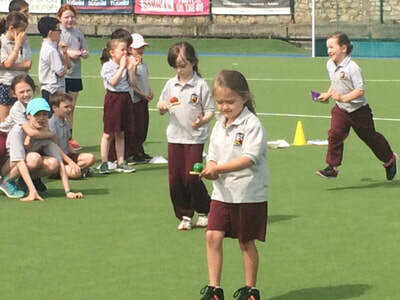 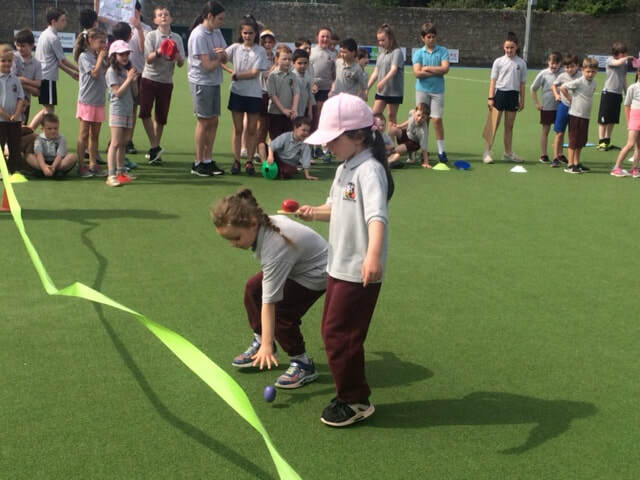 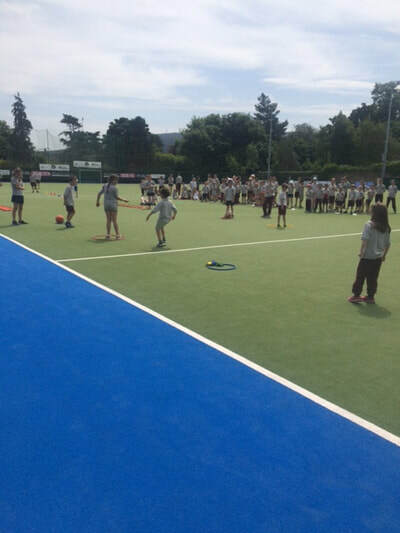 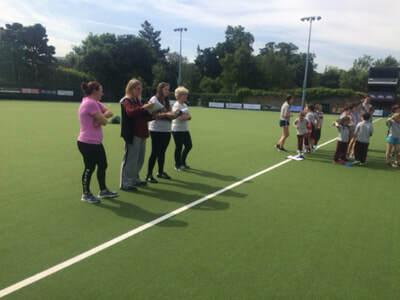 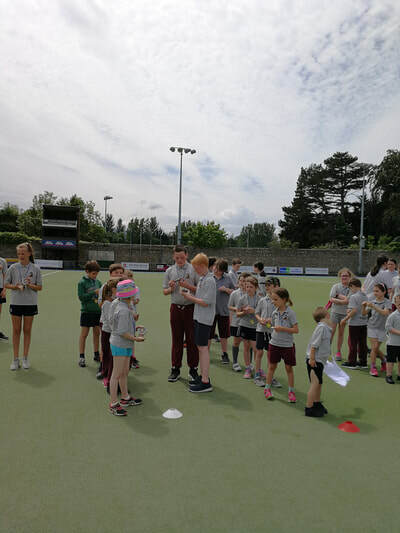 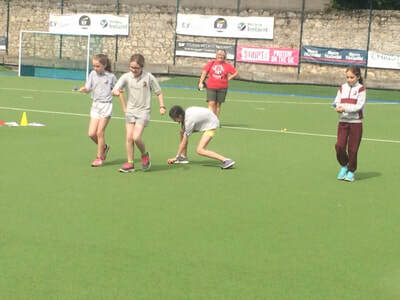 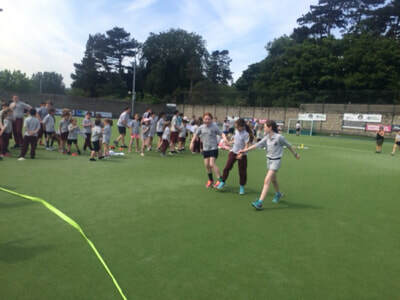 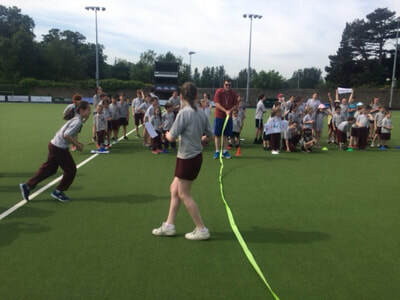 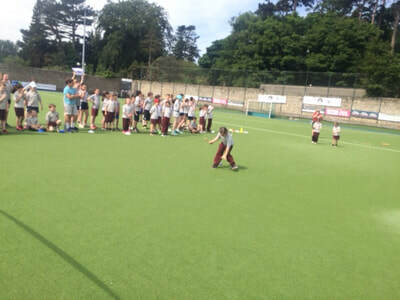 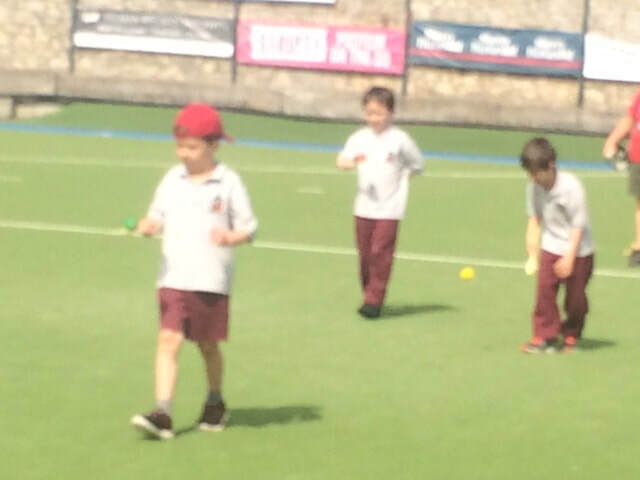 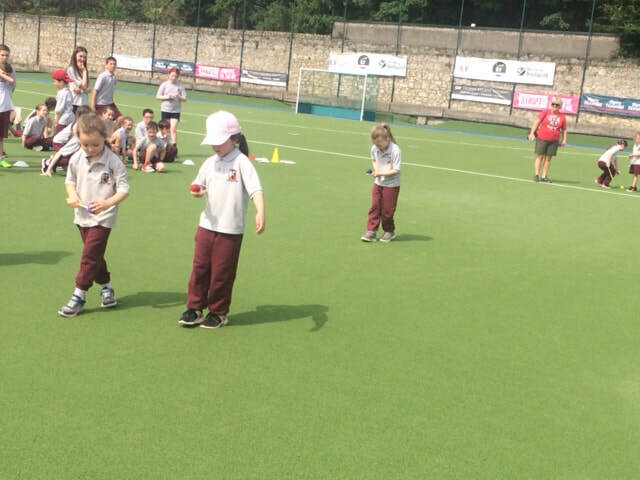 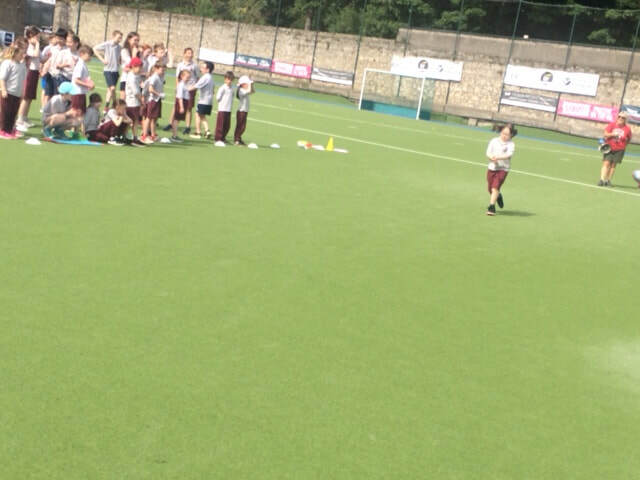 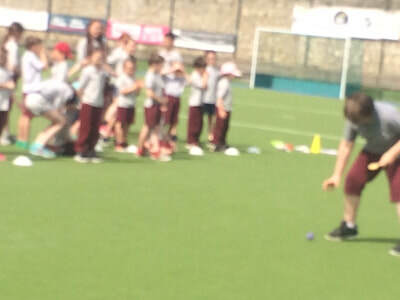 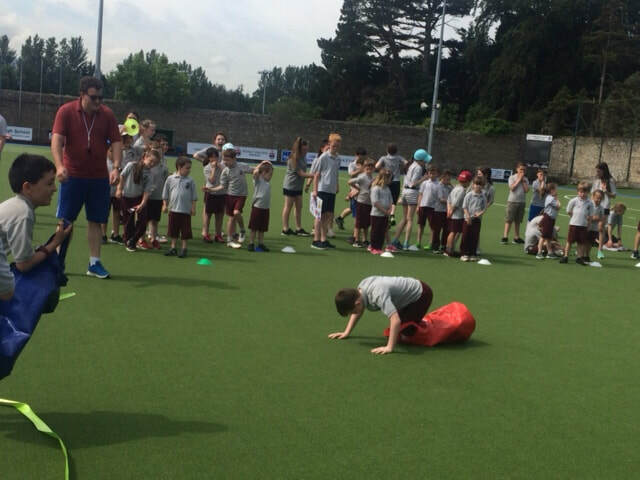 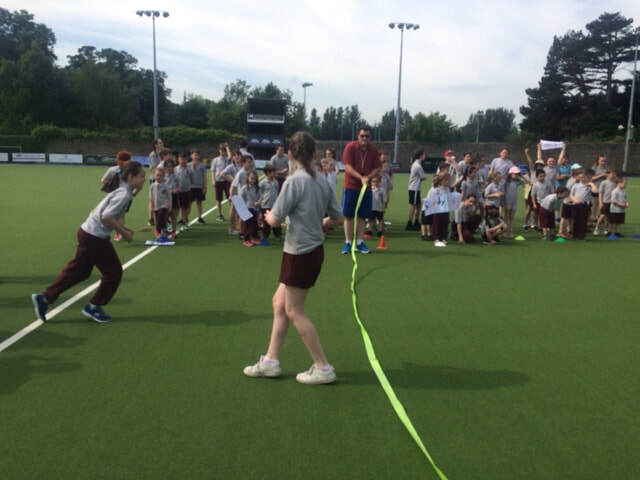 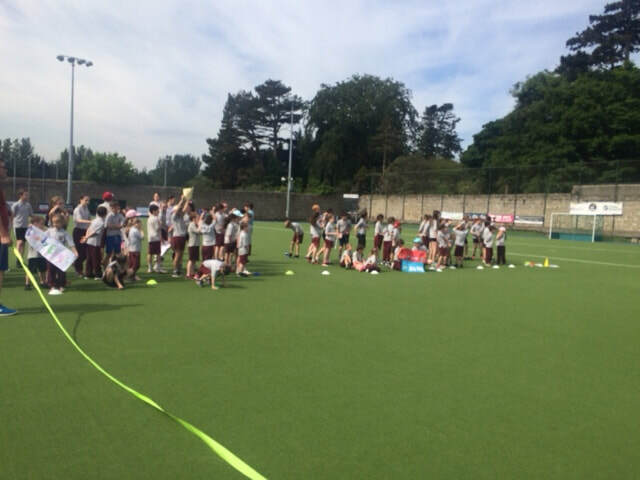 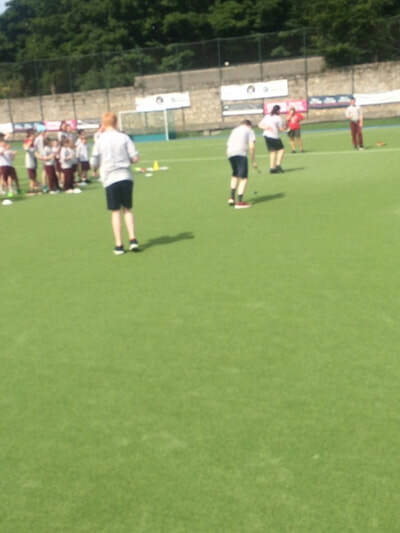 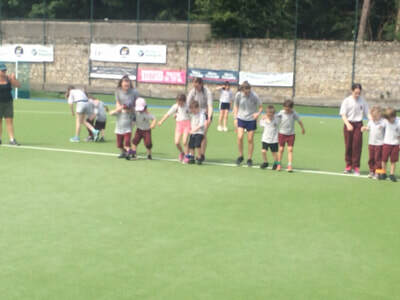 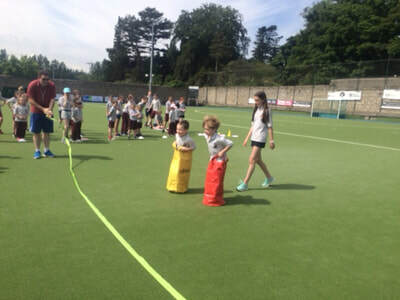 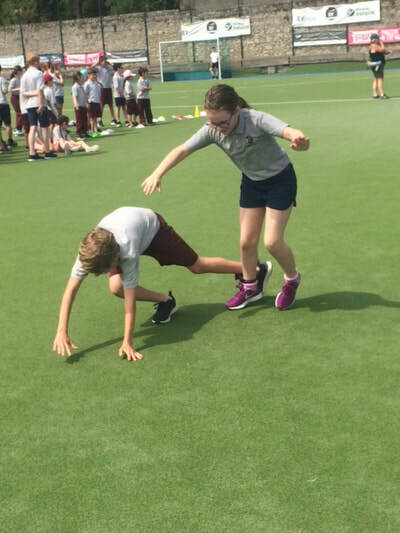 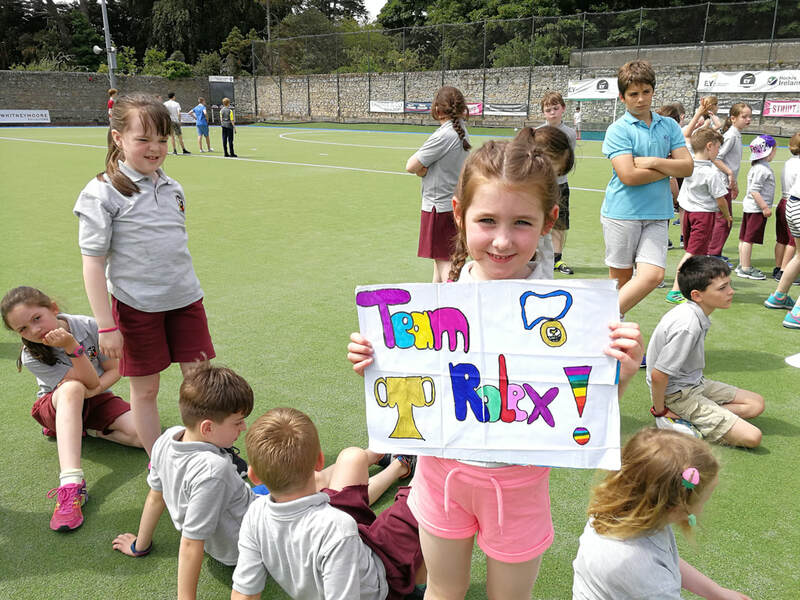 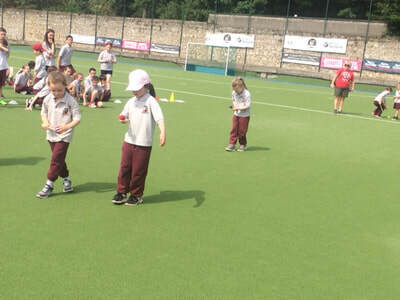 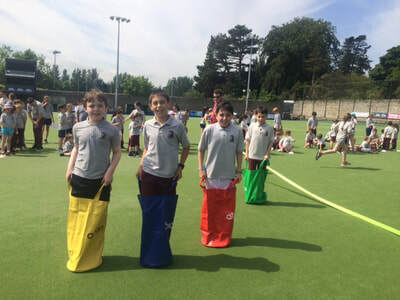 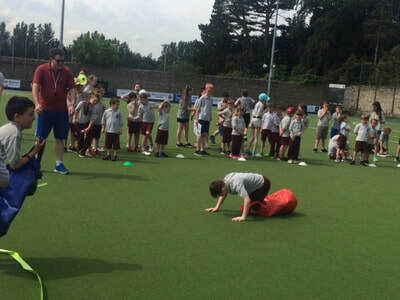 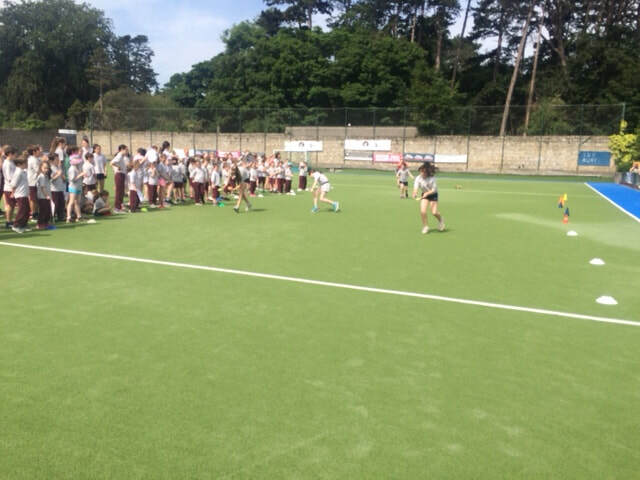 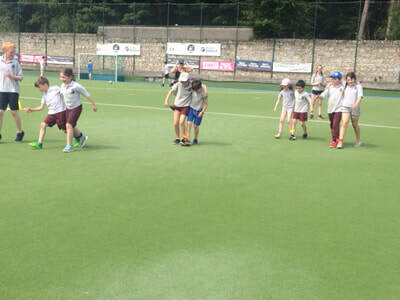 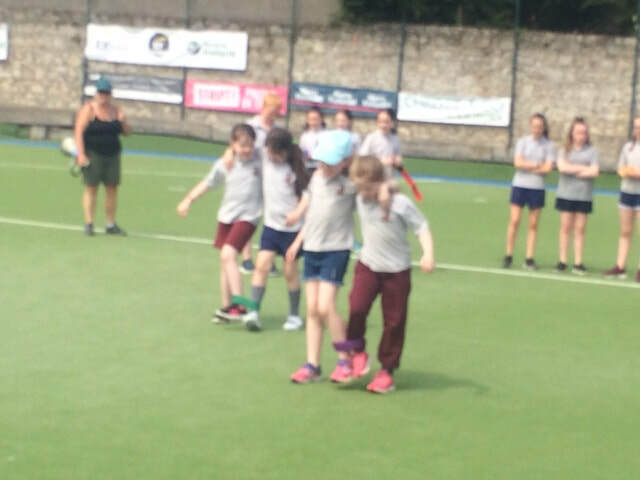 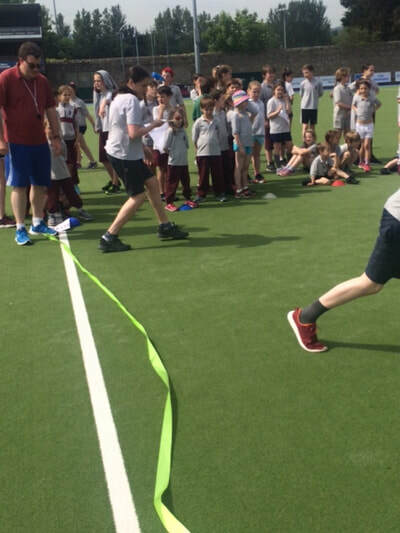 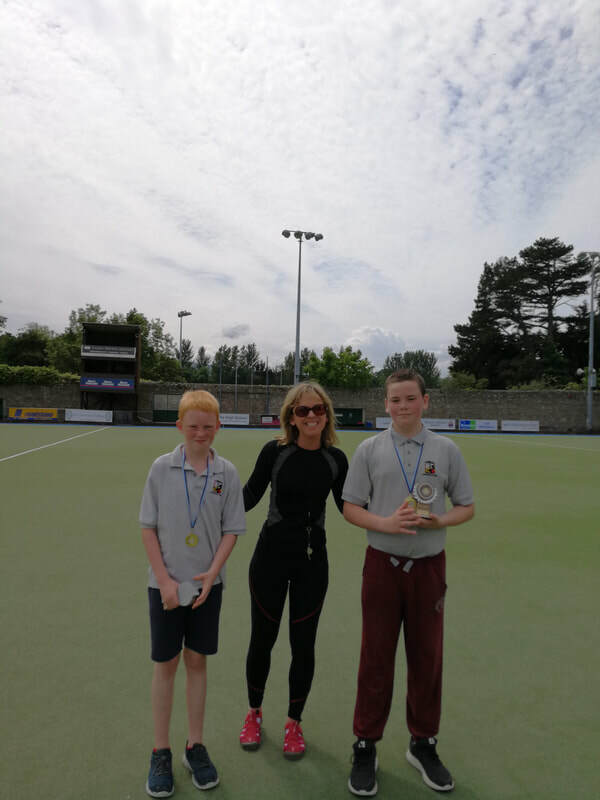 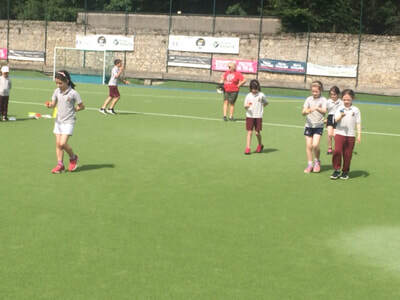 Sports Day 2018 was held on 8th June in Three Rock Hockey grounds. 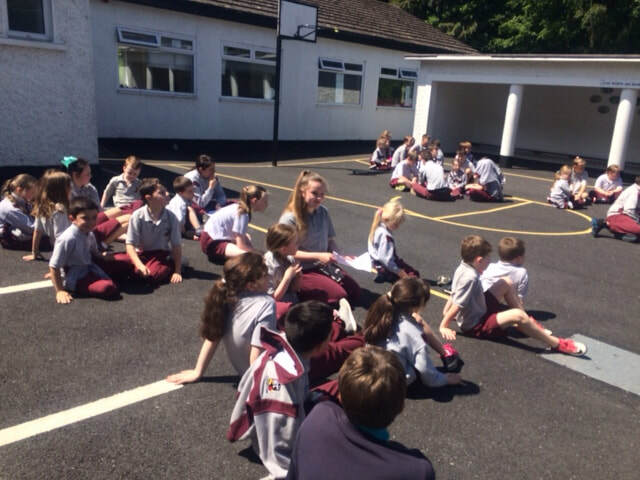 The weather was fantastic and it put everyone in a good humour. 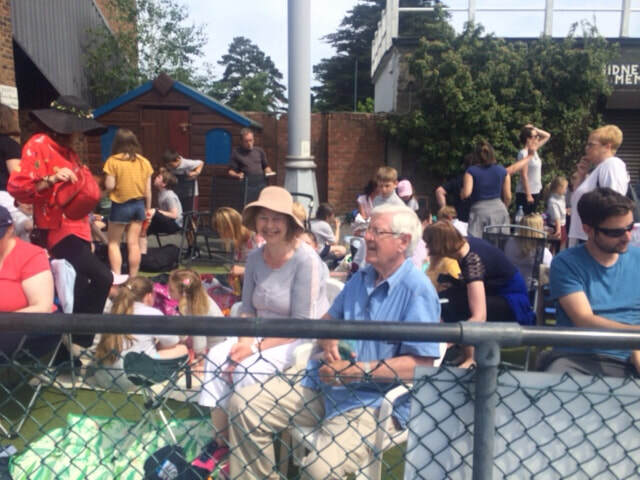 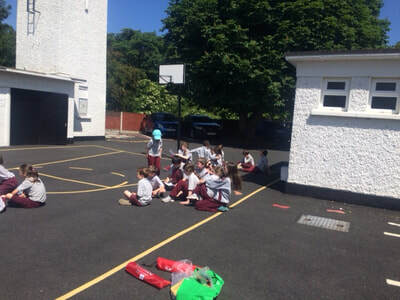 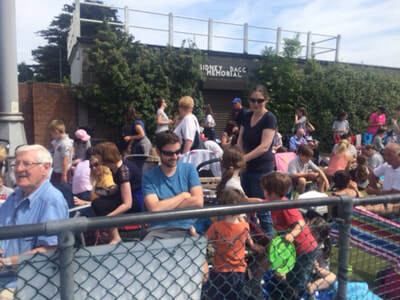 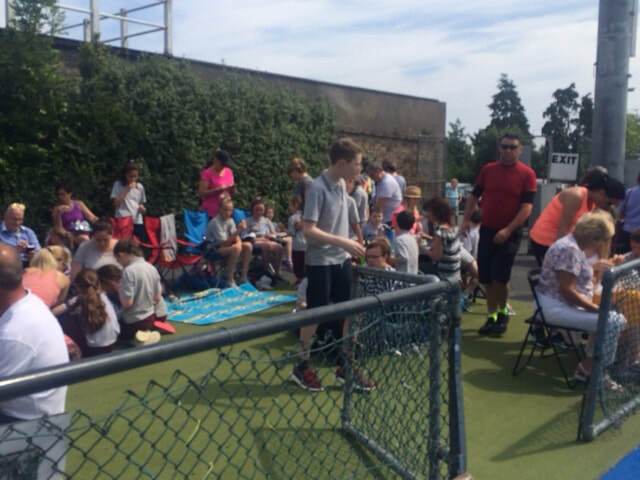 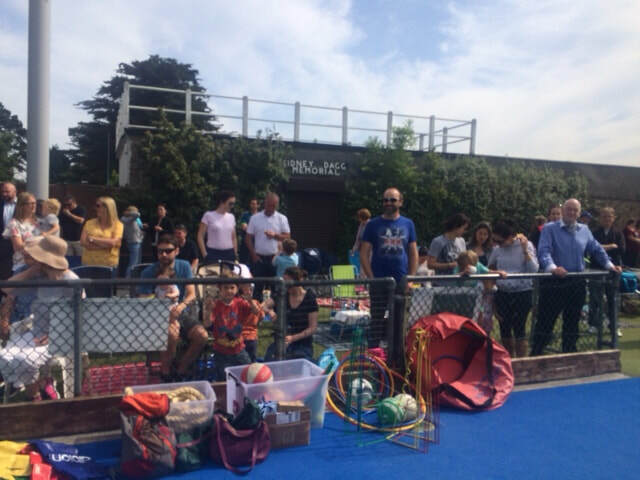 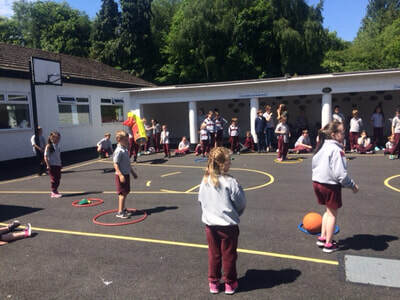 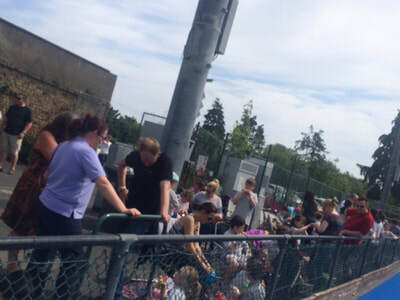 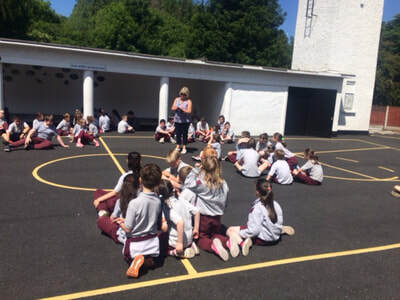 There was a wonderful turn out of parents and it was great to see everyone enjoying their picnics. 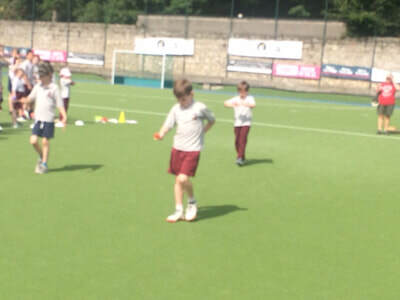 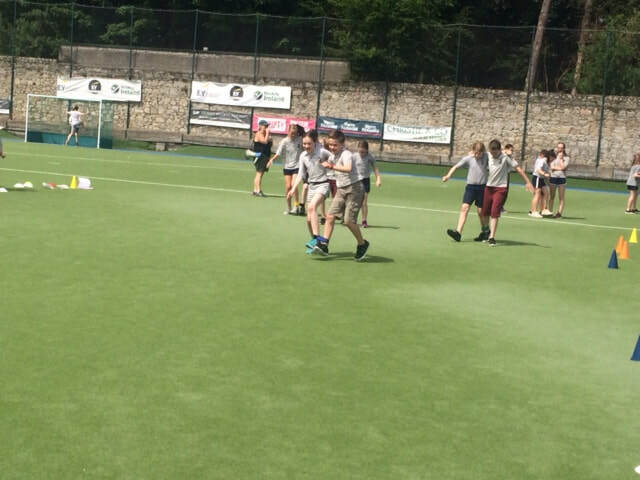 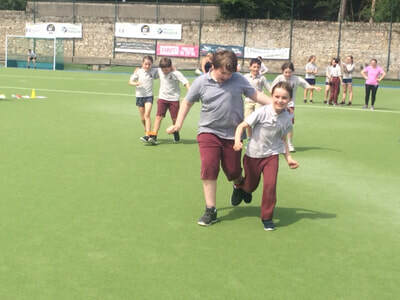 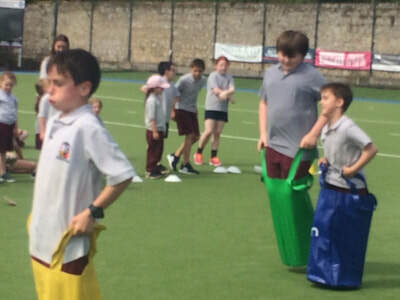 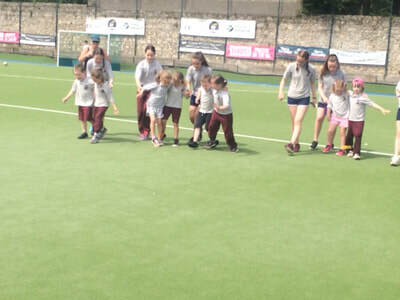 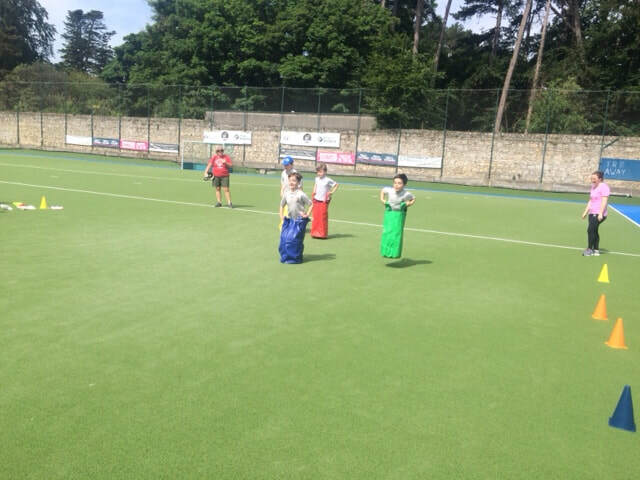 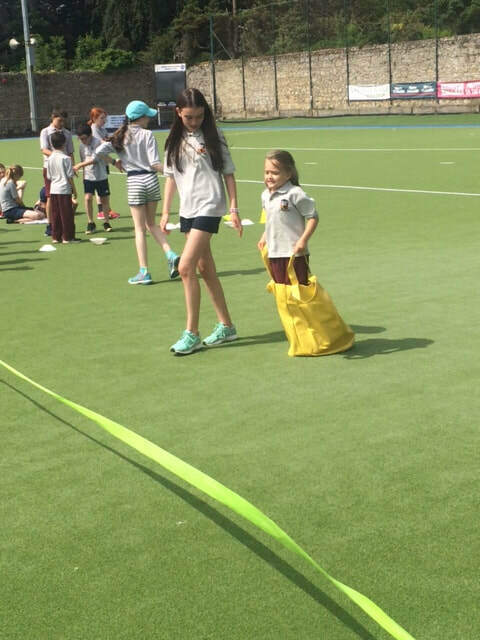 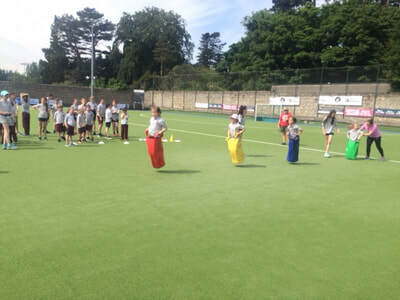 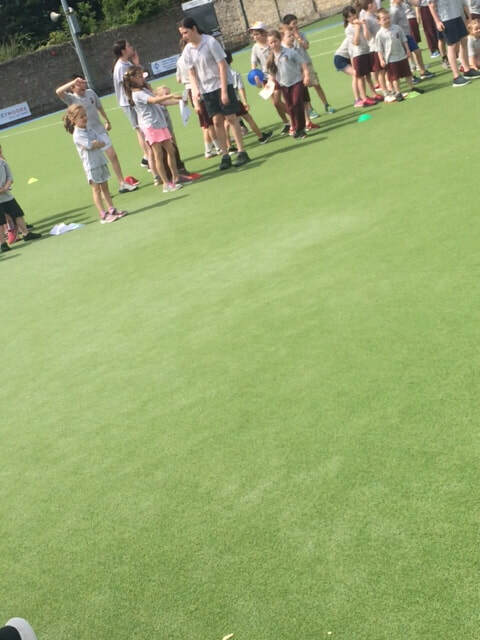 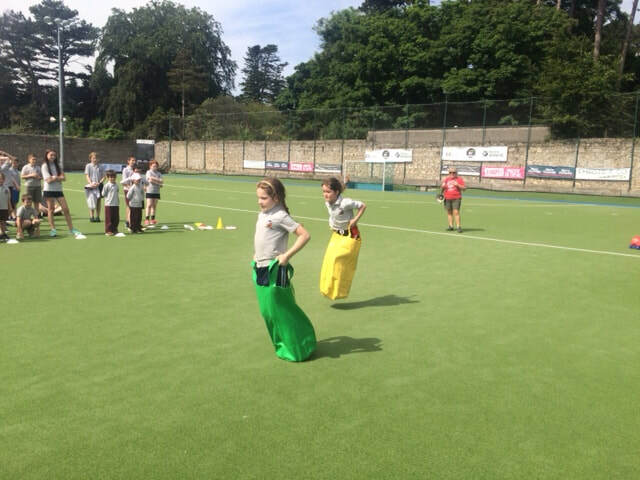 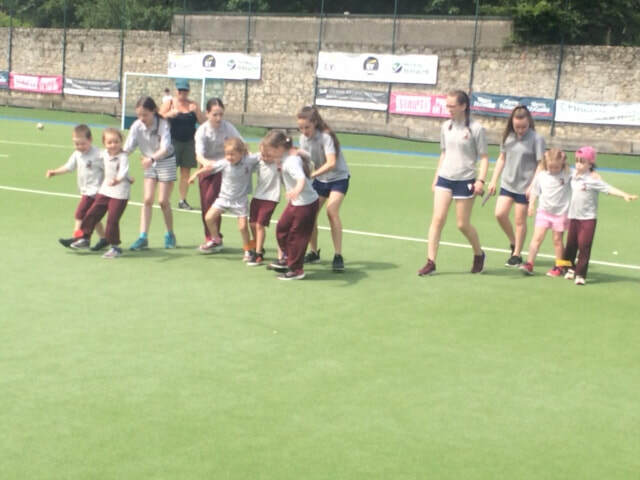 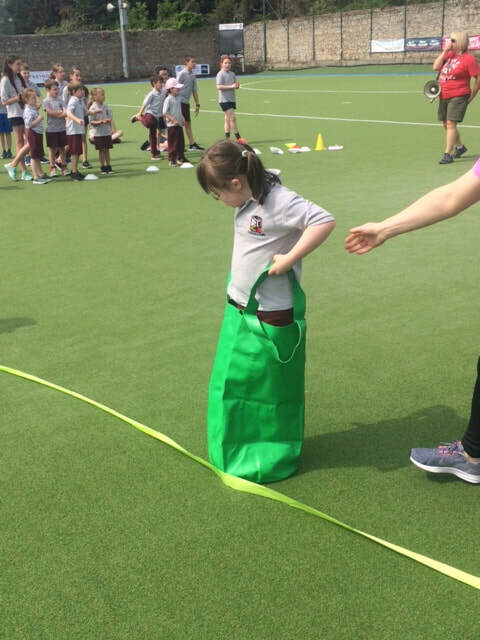 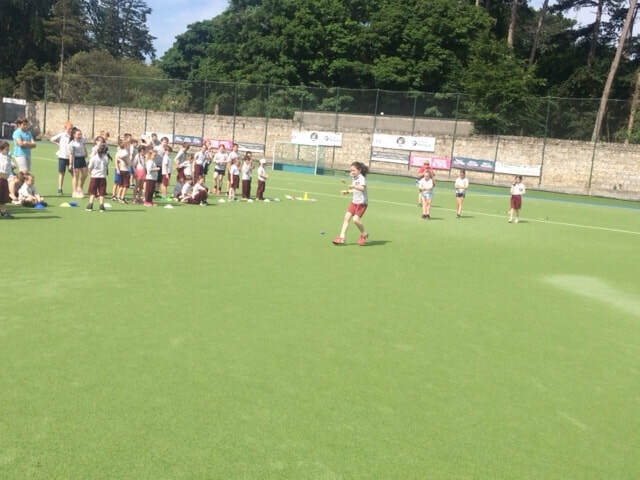 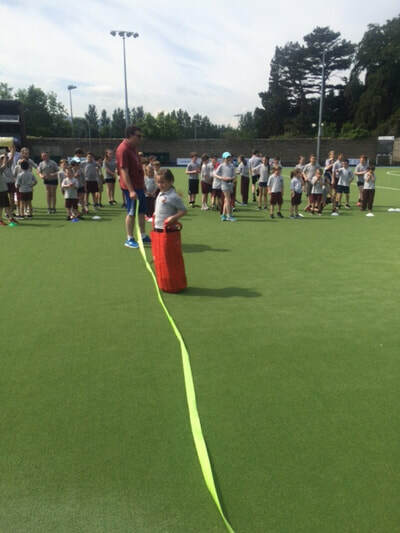 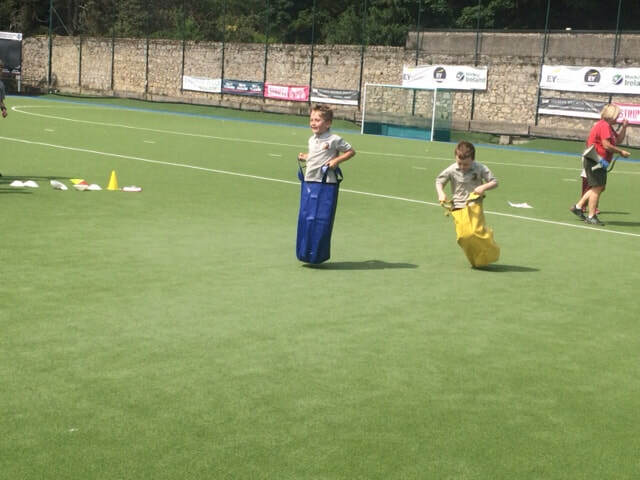 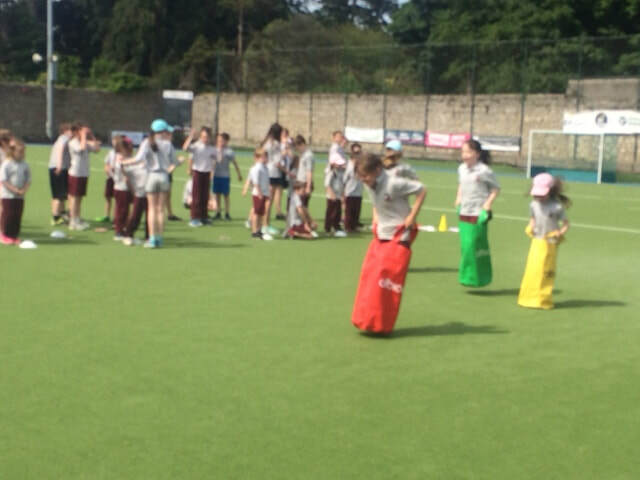 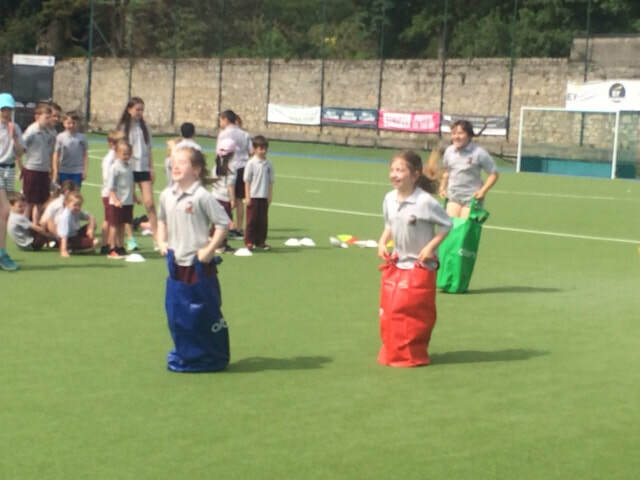 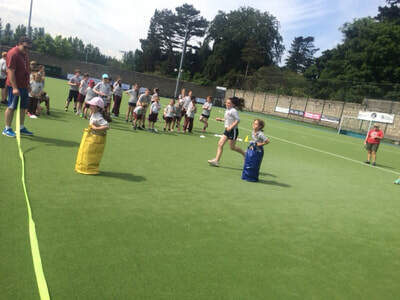 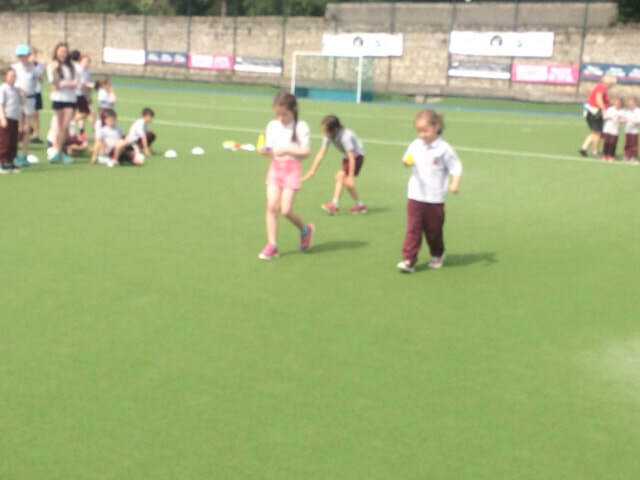 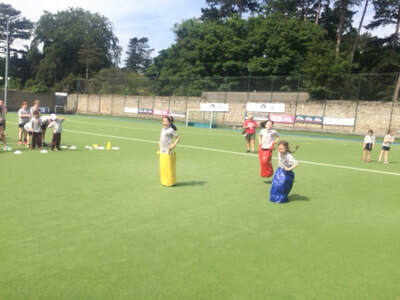 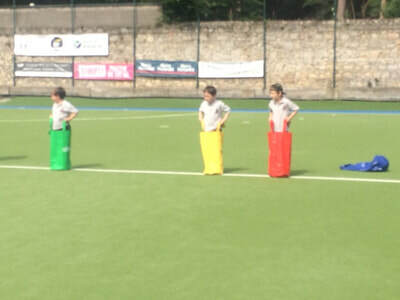 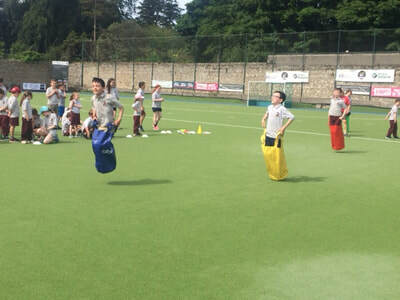 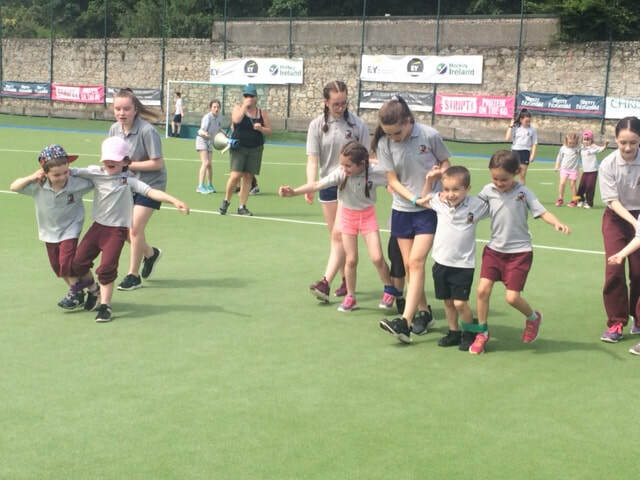 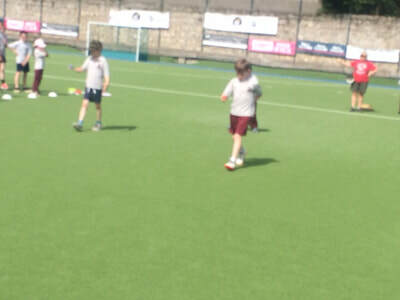 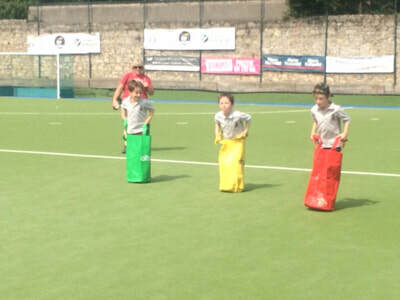 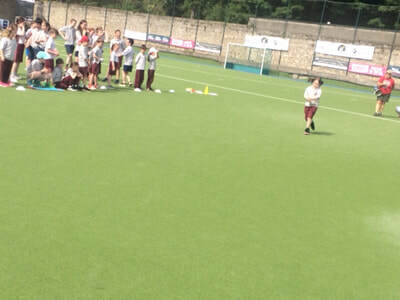 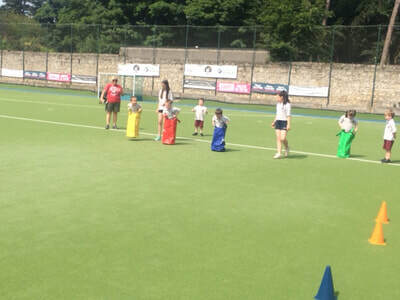 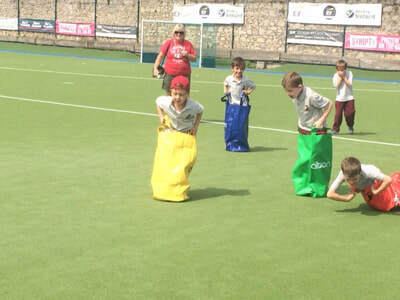 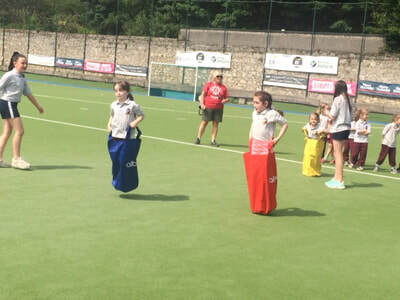 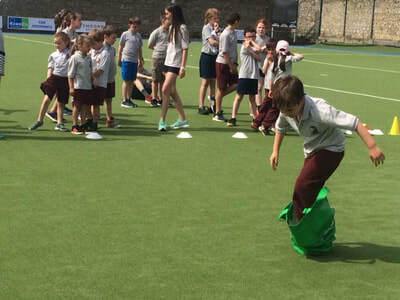 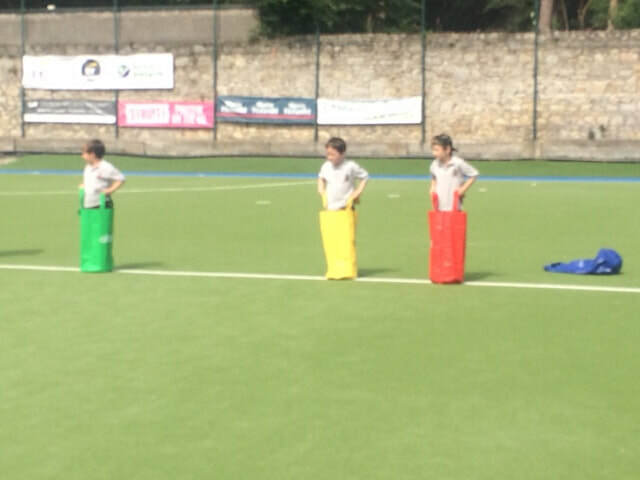 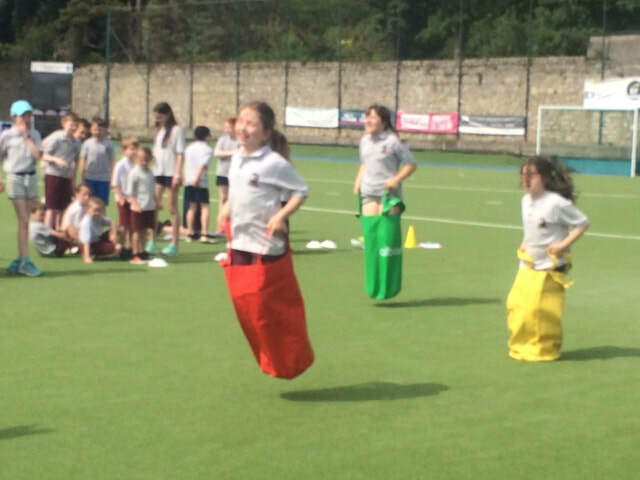 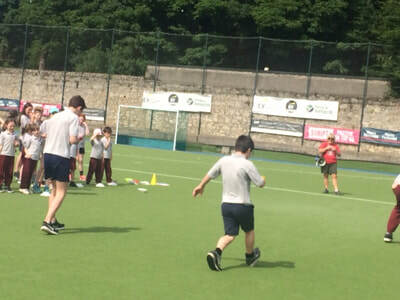 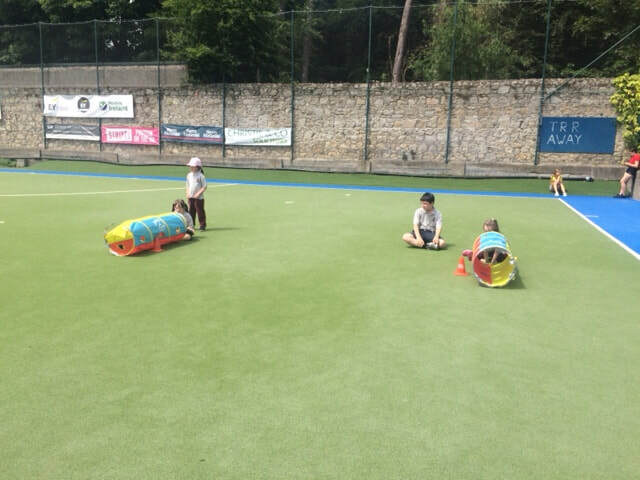 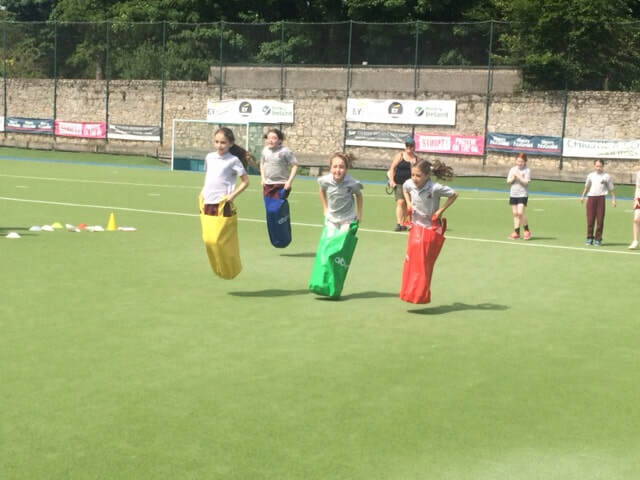 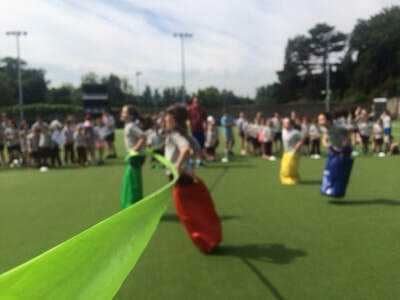 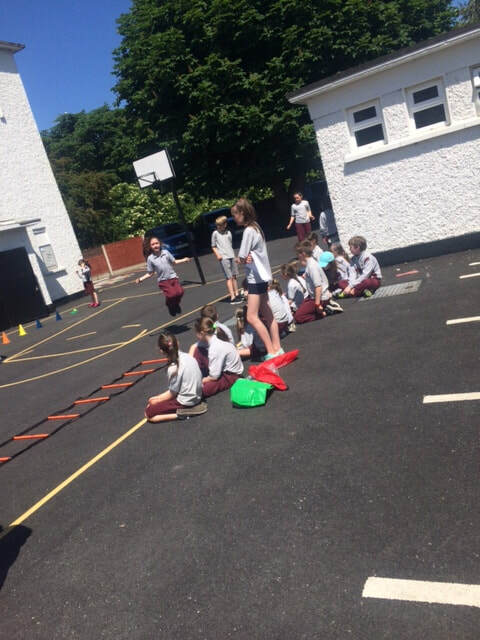 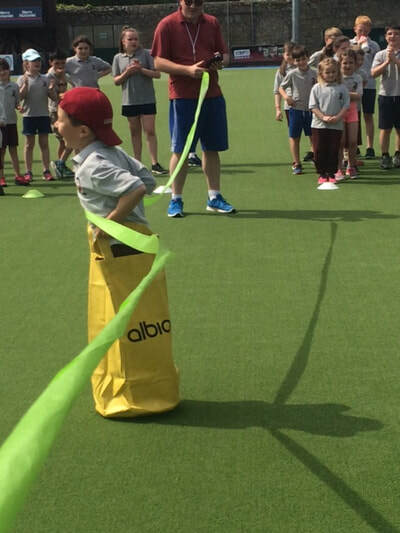 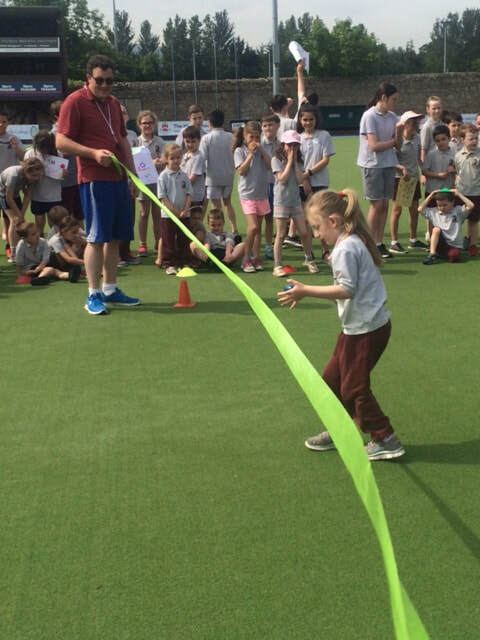 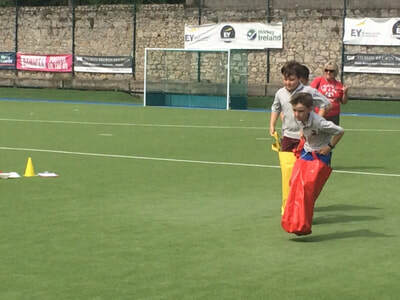 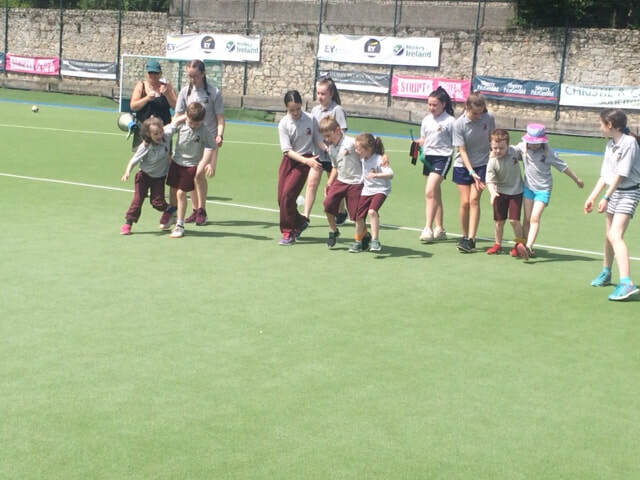 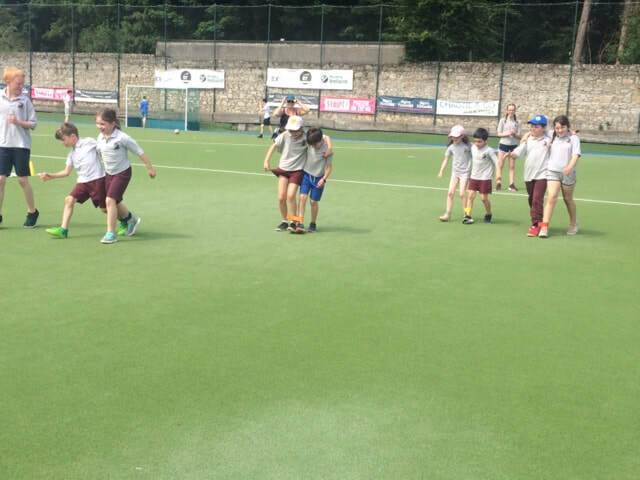 The children were all placed in teams and the emphasis, as always, was on having as much fun as possible. 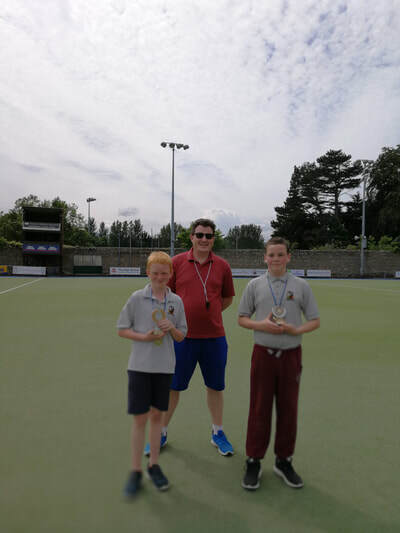 Tom's team won the overall team prize and congratulations to Aaron for winning the Team Captain of 2018 award. Well done to all the Mams and Dads and Toddlers who joined in the fun!